The struggles with health insurance reform here in the United States piqued my curiosity about what we could learn from other countries. 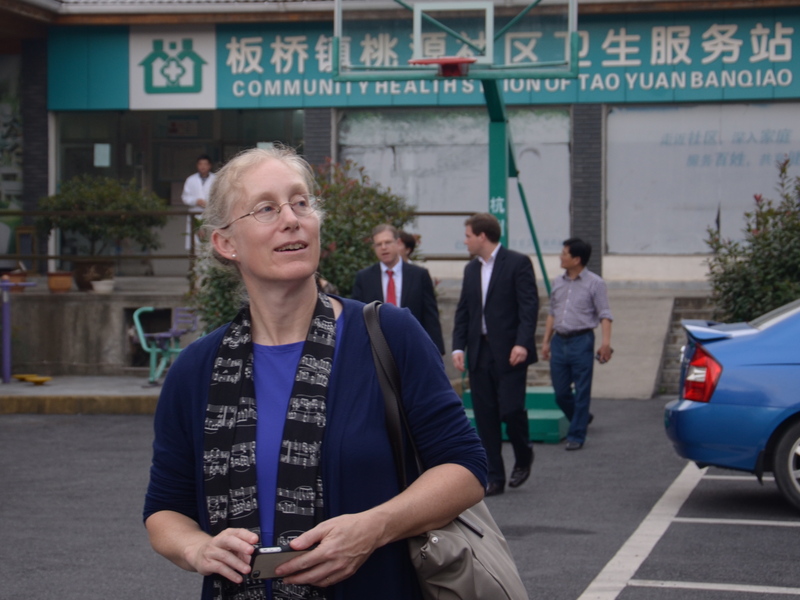 I reached out to Karen Eggleston, PhD, a senior fellow at the Freeman Spogli Institute for International Studies at Stanford, who researches health care systems and health reform in Asia, especially China. What is health insurance like in China? “The original system was linked to the centrally planned economy. Communes in rural areas supported the barefoot doctors and state-owned enterprises provided people with health care coverage in the urban areas. But when China converted to a market-based economy, this had to change. So long story short, they’ve put into place a new system of health coverage based on government subsidized insurance for rural and non-employed urban populations, as well as an employee-based medical insurance for the employed urban population. As I like to tell my US colleagues, if you think providing coverage for 40 million uninsured people is a challenge then think about covering over 800 million uninsured — that’s what China was dealing with. How has this expanded coverage impacted health and survival? “There is a lot of evidence that the expanded health insurance improved access to care and helped protect households from high health care expenditures, but it’s actually pretty difficult to pin down the effects on health and survival. In a recent study in Health Affairs, we looked at the New Cooperative Medical Scheme that provides health insurance to rural areas. We used the fact that it was introduced over time in different counties to look at the effect it had later, correlating this data with cause-specific mortality data from China’s CDC. We didn’t see a significant impact on mortality rate due to expanded medical coverage. What are some of the biggest health care challenges in China? “As China urbanizes hundreds of millions of people at a time, they are changing their diet and living a more sedentary lifestyle. As a result, they’re now getting what are sometimes called the diseases of affluence, such as diabetes. Like many developing countries, China’s healthcare system was setup to deal primarily with acute conditions and to control infectious diseases. Now, they need to sustainably finance and manage programs to prevent and care for people with chronic diseases. What other factors are affecting health in China? “China has a rapidly aging population — largely due to their triumph in extending lives by controlling infectious diseases and lifting millions out of poverty, and also related to low fertility. This demographic change reinforces the challenge of preventing and controlling chronic disease.